We believe that an understanding of the context and the learners, is key to designing an adaptive learning environment in a given learning milieu. Often learning models are inherited from a different time and place resulting in poor learning outcomes. This is especially true in the African context, where learning models developed elsewhere is applied without contextualization. Our philosophy is Contextual Learning Solutions - creating an adaptive learning environment where participants can relate to the educational content through immersive experiences! There are affordable and available technologies that can facilitate learning, improve collaboration and streamline work processes but, it takes time and experience to assess and evaluate the suitability of the technology for its intended purpose. It is only through understanding that you can fully take advantage of the many opportunities that technology can bring to any learning environment. We can assist in identifying and incorporating appropriate technologies and tools to increase your functional effectiveness. 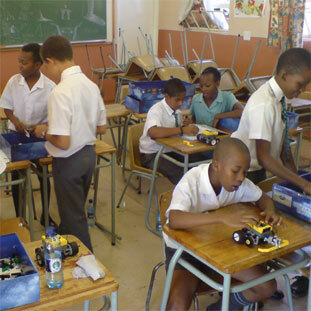 Unfortunately, traditional educational programmes do not teach learners the essential skills required by industry. A multifaceted, interdisciplinary learning approach is necessary to develop the 21st century skills required by today's employees to be successful in an ever-changing working environment. We strive to help you develop these 21st century skills in your graduate programmes at university as well as graduate development programmes in industry. 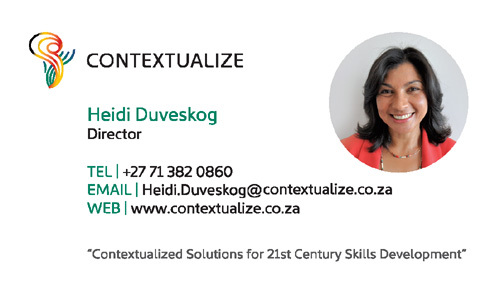 Contextualize (Pty) Ltd was founded in July 2016 as a start-up consulting, learning and development company. 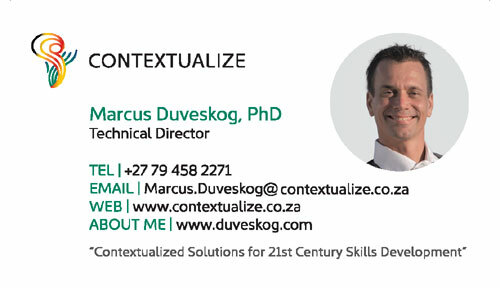 Our core business is providing contextualized learning solutions for 21st century skills development. 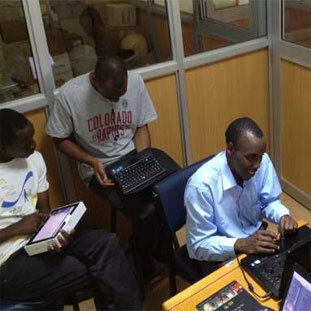 Our training is grounded in the use of technology and immersive experiences to facilitate learning. We use our joint expertise in Science and Technology to address the gaps we have identified in skills development through our work at the interfaces of industry and university, and working with government institutions in various African contexts. We have a passion for education, training and skills development and enjoy practicing our respective disciplines. 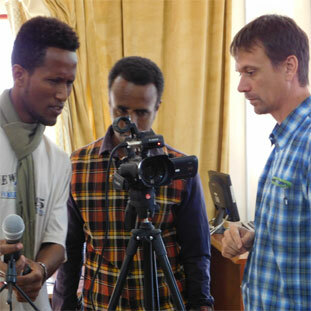 Marcus consults on ICT for development, Educational Technology and Digital Storytelling for diverse development projects in a number of African countries. Heidi consults on Analytical Management, Analytical Problem Solving projects, as well as curriculum design in the Analytical Science area. Less theory and more real world application. Knowledge without association won't last beyond exam time. Education within the African continent tends to be very theoretical and driven by memorization, we would like to change that! Ever thought why parents teach their kid's through telling stories? We believe in bringing back stories into education. Digital storytelling we found particularly interesting. Since the beginning of time storytelling has been the main mode of knowledge transfer. The oral traditions of storytelling are dying out and the knowledge transfer between generations is evaporating. The entertainment industry knows the power of stories but unfortunately most educators tend to have neglected its usefulness. Storytelling forms an essential part of our toolkit for facilitating learning. A chain is only as strong as its weakest link: we need to learn how to work more effectively in a team! The success of any project or business is highly dependent on how well people are able to work together towards a common goal. Formal education might help us master theory and some technical skills but seldom teach us interpersonal skills - a competence highly sought after in industry. Ultimately, no matter how technically brilliant you are, if you are unable to work with others, or articulate and share your knowledge with others in the organization, your career will be significantly limited. Let us help you realise your own potential by helping you develop the skills that will enable you to be more effective in the workplace. We can either learn to master the technology to be ahead of the game or we risk being a slave under it. We can help you find fit-for-purpose technology solutions to improve your educational programmes or streamline your processes. I am a skilled scientist with eighteen years professional experience in the roles of training, collaboration, group leadership, research and troubleshooting. I have a special interest in leadership development and the role of business strategy in science. I am passionate about enabling the sciences and facilitating learning. I am actively involved in helping university students develop the requisite skills for industry. I have a strong technical background in the Analytical Science areas of solid state Nuclear Magnetic Resonance (NMR), solution NMR, and Wide Angle X-ray Scattering (WAXS) with emphasis on characterisation of polyolefins, coal, wax, fuels as well as heterogeneous and homogenous catalytic systems. I obtained my Master's degree in Polymer Science from the University of Southern Mississippi, USA and was previously employed by Sasol, where I spent most of my career working in the R&D Analytical Division. My professional interests are: Skills for Industry, Science Leadership, Analytical Problem Solving, Analytical Laboratory Leadership, Analytical Science Curriculum Design, Functional Webforms. I am a Swede who see myself as a world citizen. My childhood was spent between Sweden and Kenya. My early years in Kenya gave me a love for the African continent and I nowadays reside in South Africa which is also the place where I found my beautiful wife Heidi. I see South Africa as my base and Southern Africa as my main working field. 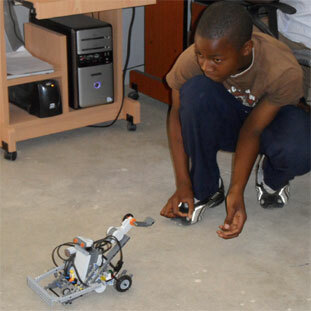 I am an educational technologist with a special interest in ICT for Development. 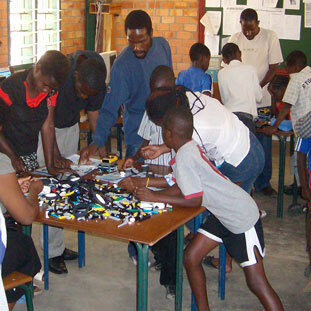 Through my research and work for University of Eastern Finland I have gained extensive experience on participatory design with youth in several African countries and contexts (Kenya, Mozambique, Tanzania, Eritrea, South Africa and Zambia). In January 2015 I completed my PhD studies, the title of my dissertation was "Digital storytelling for HIV and AIDS education in Africa". 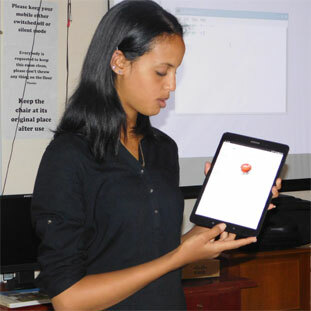 During 2016 and 2017 I have been working for the project ''ICT4EEDU - Strengthening ICT in Education in Eritrea''. My professional interests are: ICT for development, Participatory Design, Digital Storytelling, HIV and AIDS education, Technology enhanced learning, Kids' Club, Educational gaming and Youth empowerment.